The Gluten Free Total Care Package consists of our Gluten Free Cleanser, Moisturizer for Ultra Dry/Sensitive skin (or substitute our Daily Moisturizer), the Rooibos Calming Mist and the CoQ10 Rejuvenating Facial Serum. The small package consists of 2oz sizes of each product, while the large package comes with 4oz sizes. ​​This perfectly balanced moisturizer is formulated with the highest Grade of organic pressed Aloe Vera leaf extract, a delicate layer of JoJoba, pure cold-pressed Buckthorn extract and a host of other gentle, rich ingredients. RosaSkin Normal to Dry moisturizer is perfect for rosacea sensitive skin that needs an extra touch of moisturizer. For Normal to Oily skin, we’ve adjusted the oil content and added extra Aloe Leaf Extract, a natural absorbent that will help balance the oils in your facial dermis and reduce inflammation. In all our products, we avoid Salicylic acid, hydroxy acids and alcohol as they are also known irritants to the delicate rosacea sensitive skin. 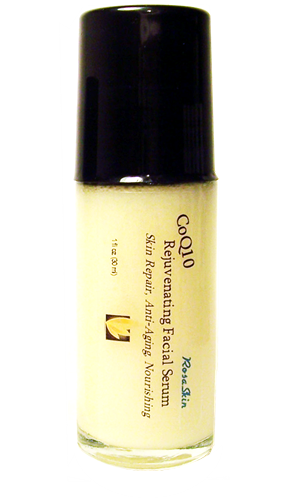 Our moisturizes are formulated to calm your rosacea, reduce redness and help even skin tone. All Moisturizers contain SPF 20. ​Gluten Free Recipes, Tips, and Reviews. ​Recent studies and anecdotal evidence have been showing a darker side to wheat. If you have spoken to a Brooklyn hipster, a health food guru, or a very picky eater lately, you may have heard about the benefits of having a gluten-free diet. 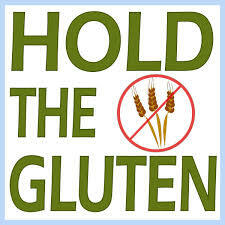 People who eat gluten-free meals often are thinner, have better skin, and also have more energy. The truth is that gluten really is not good for peoples’ health, and even having it in skincare products can prove to be problematic for those with sensitive skin. Gluten, though generally not good for people, can be even worse for some pockets of people. People who have wheat allergies are doubly affected by the problems that gluten can pose. Those with gluten allergies can suffer from runny noses, watery eyes, skin rashes, or even swelling if their skincare products have gluten in them. Individuals with gluten allergies need to make sure that their skincare products are clearly labeled as gluten free, lest they end up looking like a red, irritated, itchy mess before a big event. 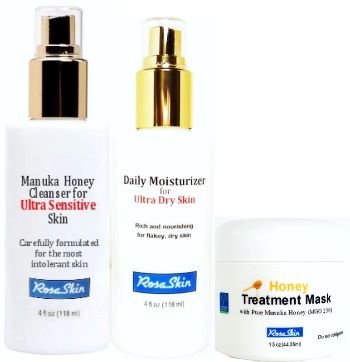 Thankfully, the skin care industry has heard the cries for a gluten free skin care line, and they have created new products that specifically cater to people concerned with overall skin health. The products range from facial cleansers, anti-acne treatments, mud masks... to anti-aging products and moisturizers. Day after day, more and more gluten free skin care products are arriving in store and on the virtual shelves of online vendors. These products are slowing getting favorable reviews from makeup gurus, as well as getting the thumbs up from those who use them. The step towards gluten free skin care products is an easy one to take. Most of us are focused on putting good ingredients inside our bodies, why not put them on the outside as well. RosaSkin has heard the call for Gluten Free skin care products and now offers a complete line of cleansers, moisturizers, treatment masks and anti aging products that are not only Gluten Free, but are also free of parabens, dyes, perfumes, salicylic acid, benzoyl peroxide, alpha-hydroxys and glycolic acid. Our goal at RosaSkin is to deliver the purest, most effective products to aid in the healing and management of all types of sensitive skin. ​​​Our Gluten Free Daily Cleanser is a hydrating and replenishing cleanser completely free of Wheat products. This crème based formula is wonderful for all skin types, but particularly beneficial to sensitive skin types. Your skin will reap the benefits of the generous concentration of Super Anti-Oxidants we infused into the mix. The crème texture will leave your face feeling soft, smooth, and clean and nourished. As you may know we are big fans of the super antioxidant Rooibos and have added that to the formula as well. Recently, Japanese scientists discovered that Rooibos tea contains a counterpart of the enzyme Super Oxide Dismutase (S.O.D.) which is an antioxidant that attacks free radicals and limits their damaging effects on the skin. White tea is a powerful antioxidant, as well. About the ingredients: Gluten Free Facial Cleanser is based on certified organic Aloe Leaf Juice and certified organic Extra Virgin Olive Oil. Xanthan Gum is derived from the bacterial fermentation of wood pulp polysaccharides and is manufactured without isopropyl alcohol or genetically modified corn.